For many, a Nepal trekking holiday is an ultimate bucket list item, and for VERY good reasons. To begin, the geography of the Himalayas is breathtakingly beautiful. If you are at all keen about trekking, you already know Nepal is a veritable Mecca for mountain adventures. Furthermore, there is much to explore in the rich Hindu and Buddhist culture which predominates Nepal. The beauty of a trekking holiday in Nepal is that you don’t have to choose between the mountain trekking experiences or the cultural immersion ones. 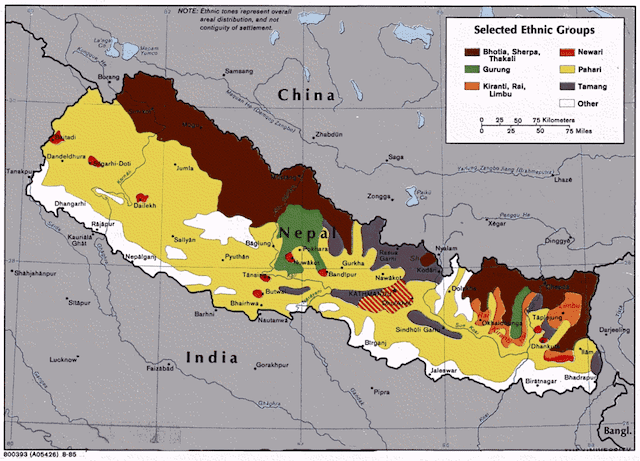 That’s because the mountains of Nepal are very much a part of the Nepalese cultural fabric, and visa versa. When you do a trekking tour to Mt. 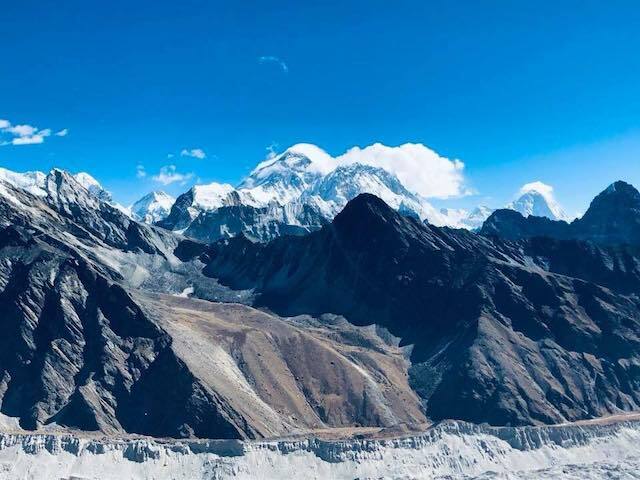 Everest Base Camp or if instead you choose to do a trekking tour to Annapurna Base Camp (we will discuss some of the difference between these two below) you will encounter both the stunning beauty of the Himalayas as well as many holy Hindu and Buddhist sites along the way. 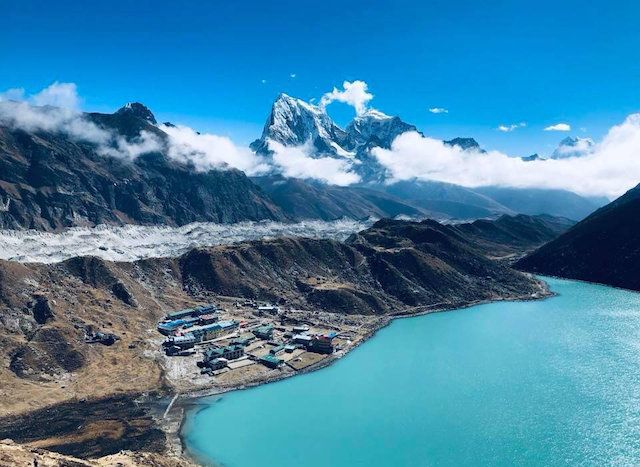 But keep in mind, as there are many other linguistic as well as racial and cultural groups that call Nepal home, don’t be surprised if one trekking holiday in Nepal only serves to whet your appetite for more. 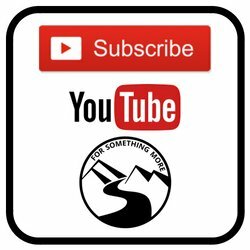 So, if you’re willing to put in the physical effort that it takes to get to some of these most spectacular places, read on, as your efforts will be well rewarded! If you’re keen to trek to Annapurna Base Camp, you’ll first travel to Nepal’s second largest city, Pokhara. With stunning scenery, lots of activities for active folks and many food options, it’s a great jumping off place for a Nepal trekking Holiday. 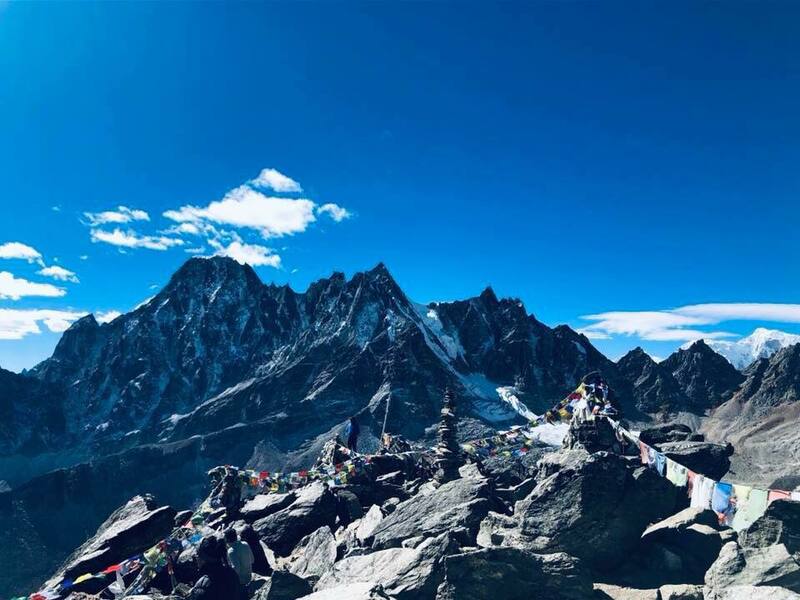 If instead you’re keen to trek to Everest Base Camp, you could walk from Katmandu to Lukla (as Edmund Hillary and Tenzing Norgay did in 1953 when they completed the first ever summiting of Everest), but it’ll add quite a bit more distance to your trek. 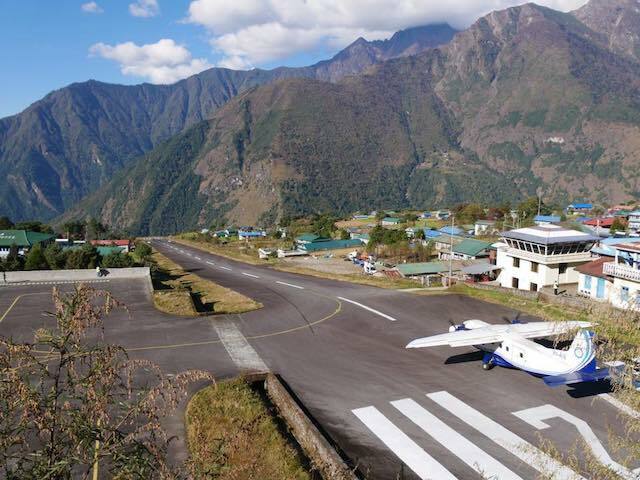 Much more common nowadays, you’ll take a scenic flight from Katmandu to Lukla Airport, and from there you’ll begin your trek to Everest Base Camp. It is possible to hike to Annapurna year round. This is due to the fact that it is located in a rain shadow, and thus it is protected from the full force of many weather systems. However, if you’re keen to see more flowers and greenery, plan to go during autumn or spring. All things considered, autumn is the best time to go – September to November. 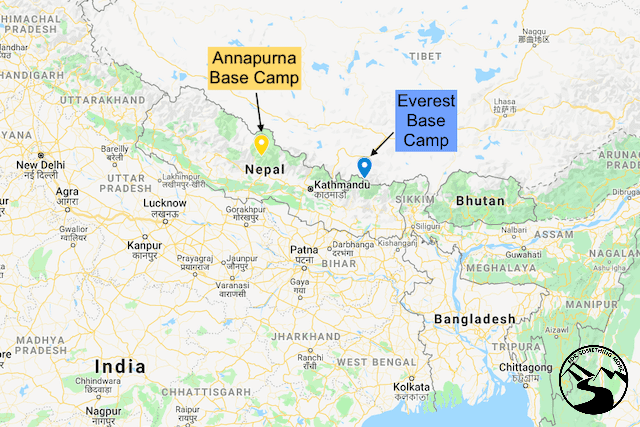 Also, quite obviously, while it’s possible to hike to Annapurna Base Camp in the winter, it is logistically more challenging. 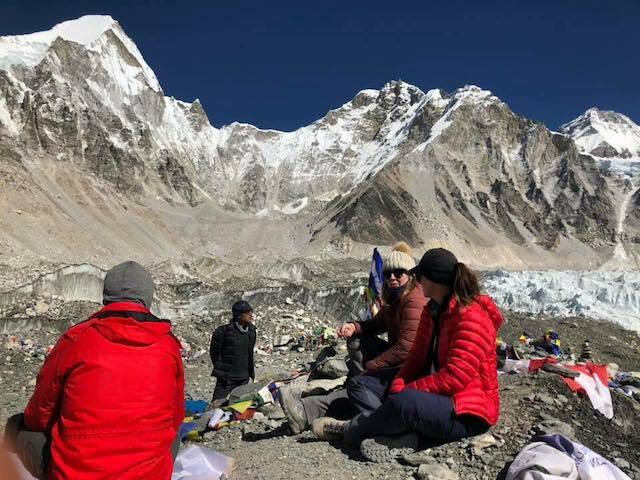 Again, it is possible to hike to Everest Base Camp year round, however, the easiest and most popular time to hike there is in October and November as this is when you’ll have the highest chance of getting clear blue skies! Why Trek to Mt. Everest Base Camp? When most people think of Nepal, the first thing that comes to mind is Mt. Everest. That is why a trek to Everest Base Camp is an iconic Nepalese experience, and with good reason! At 5,380 meters above sea level and completely immersed in the Himalayas, few other places in the world are as spectacular. However, with such popularity, there can also (at peak seasons) come crowds. 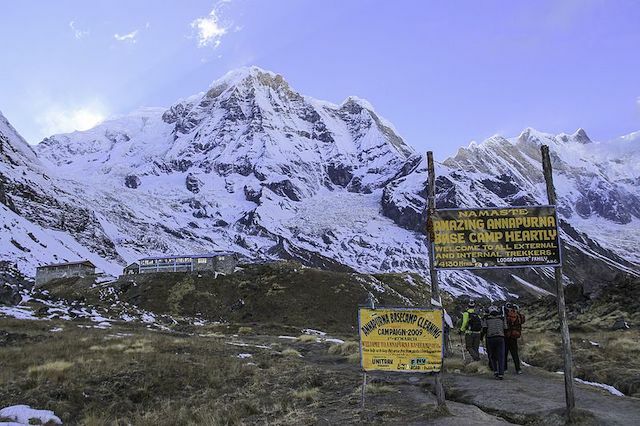 Why Trek to Annapurna Base Camp? A lesser known, but arguably just as spectacular Nepal trekking option is Annapurna Base Camp. A trek to Annapurna Base Camp is a more off the beaten path Nepal trekking option. Often much less crowded than a trek to Everest base camp, this is a good option if you usually march to the beat of your own drum. At 4130 meters, Annapurna Base Camp is quite a bit lower in elevation than Everest but still high enough to give you those spectacular Himalayan views. Trekking to either Annapurna Base Camp or Everest Base Camp is not for the faint of heart. Both routes will be best enjoyed if you have a good bit of cardiovascular pre-training. Whether you do some running, hiking, or swimming, the stronger your heart and lungs are going into an experience like this, the better. 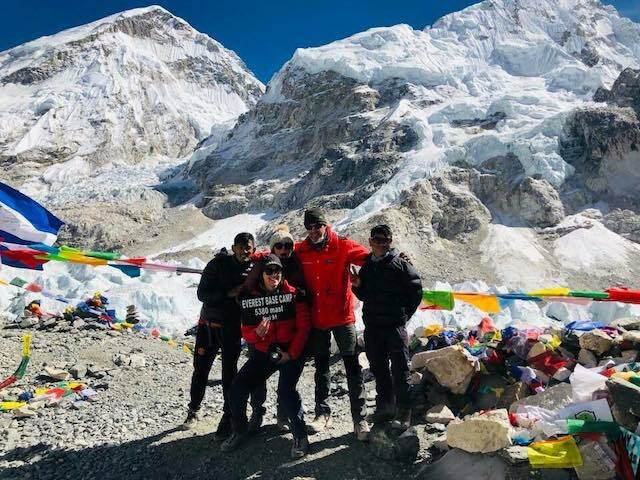 However, given the higher elevation of Everest Base Camp, a trek here is considered more difficult than a trek to Annapurna Base Camp. If you do choose to have a Nepal trekking holiday, you’ll want to consider the type of terrain you would like to experience. 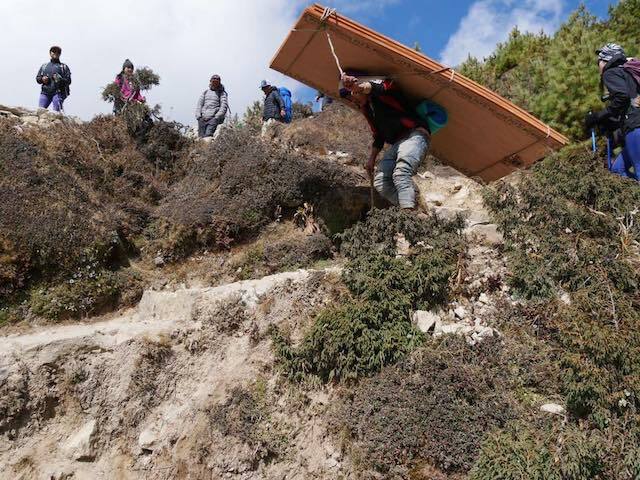 Broadly speaking, trekking to Everest basecamp is going to expose you mostly to high mountain environments. While it is beautiful, it is somewhat unvarying. 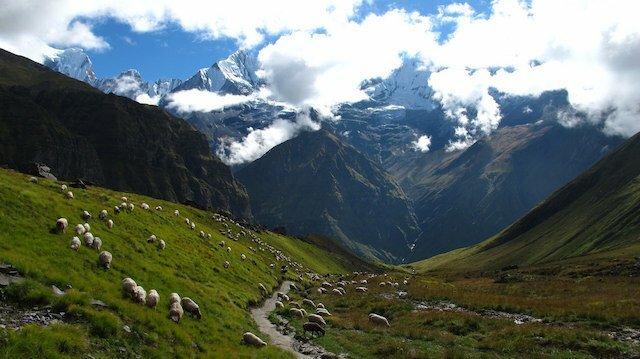 If you prefer more variety of terrain on your Nepal trekking holiday, consider instead trekking to Annapurna Base Camp. On your way to Annapurna, you’ll experience undulating hills, alpine fields filled with wild flowers and of course, high mountain passes. One main difference between between Annapurna and Everest is the predominant culture in the particular area. 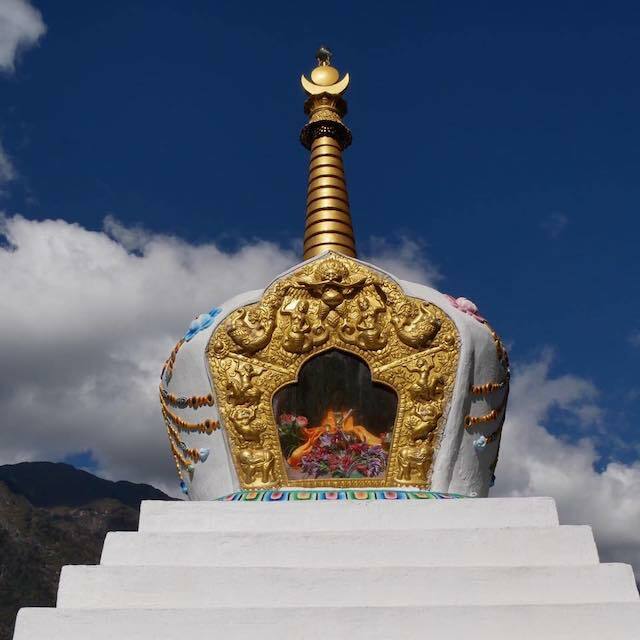 To overgeneralize, the majority of the people in the area of Everest are Buddhist, and it is home to the Sherpa people. 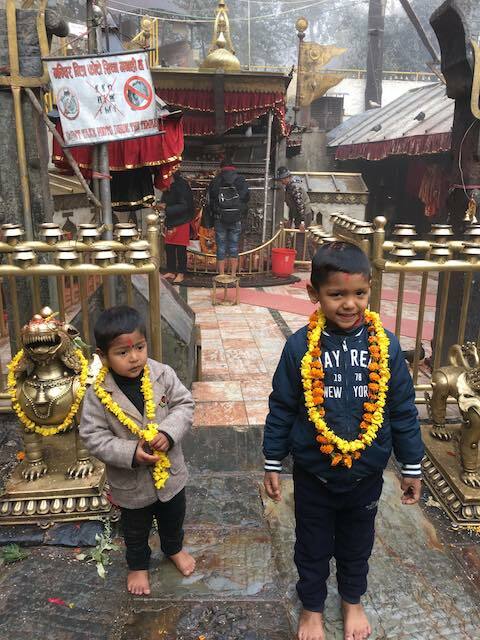 In the area of Annapurna, you will encounter the Gurung people who, generally speaking, subscribe more to a mix of Buddhism, Hinduism, and local animistic religious practices. It should be clear by this point that a Nepal trekking holiday is going to leave you with memories that will last you a lifetime. 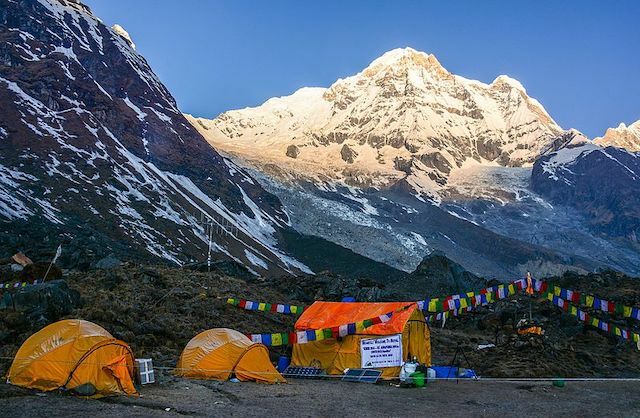 Whether you decide to do the more off the beaten path option of trekking to Annapurna Base Camp or if you choose to do the Nepalese classic of a trek to Everest Base Camp you are surely NOT going to be disappointed! 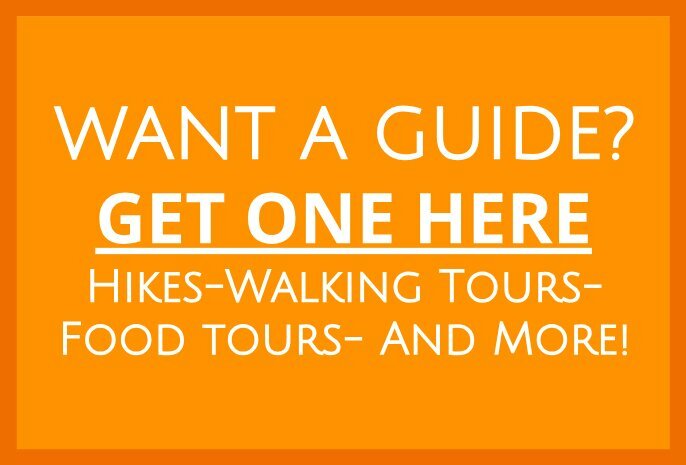 So, all you have to do now is pick the one you’d like to do, pack your bags and get trekking! This post is sponsored content. Read our disclosure here.